Move to Mexico? Are you crazy? That’s the response we got from many of our friends and family when we told them our plans to move to La Paz in Baja California Sur. When people ask what prompted the move, we laugh and tell them, “Too many episodes of HGTV’s House Hunters International!” It’s true. We would watch, and dream, and then one day we realized we could make a move like that, too! If you’ve dreamed of moving to Baja but don’t know where to start, we’ve been there. Many people ask how we made such a big change. Wasn’t it intimidating? How did you know where to look or what to do? Can you even buy real estate in Mexico? Where did you start? We tell them, if you start with a great real estate agent, that makes the rest of the process so much easier. One year later, our move to La Paz is one of the best decisions we’ve ever made. We moved to Baja, and you can, too! While we had been vacationing in Los Cabos for many years, we had yet to visit La Paz. We had heard stories of its beautiful white sand beaches, a thriving downtown malecon, and a very reasonable cost of living, all only a two-hour drive from the Cabo airport. We decided to check it out. 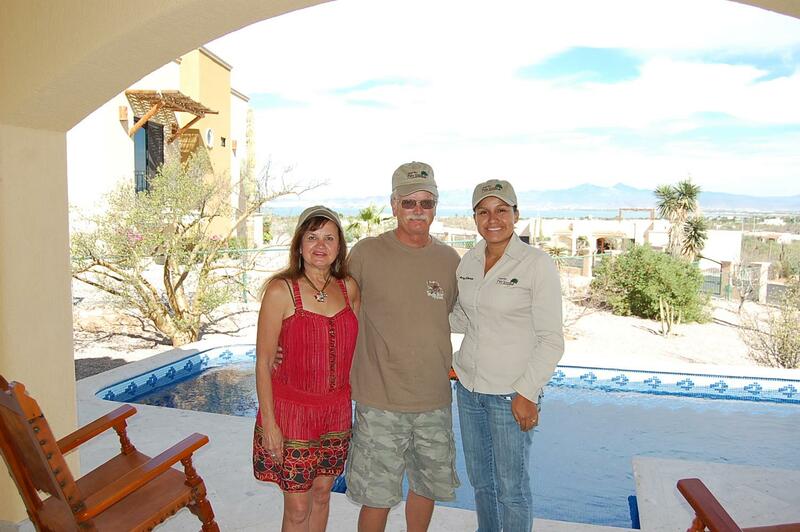 We began our research online, and that’s when we found Robin Hodgson and Miriam Welldon at Vista Properties in La Paz, BCS. Their web site was the first to come up in our search, and we were surprised to find they had actual MLS listings, just like in the U.S.! We sent an email asking if they might be available on our next trip to Baja to show us around, and they responded right away. It was the kind of friendly, professional service we would later learn was the standard for this highly regarded real estate team. A few weeks later, we flew to La Paz and met at a local Mexican restaurant, where we began peppering them with lots of questions. “Why did you move to La Paz? What is it like to live here? Is it hard to buy property here? Will we need to learn Spanish?” They patiently answered all of our questions, as well as some we hadn’t thought to ask. After lunch, we toured some neighborhoods in downtown La Paz, viewed homes in a few other neighborhoods closer to the beach, and then made a short drive out to the nearby town of El Centenario, where they showed us a lovely gated community called Haciendas Palo Verde. Robin and Miriam guided us through the sales process, always available to answer our many questions, and making the entire experience amazingly smooth and easy. We learned what a fideicomiso is, how property rights work in Mexico, and even completed the sale remotely from our home in California, using a power of attorney they helped us set up. Excited to finally own our vacation home in Mexico, we came to stay for a few months, and ended up loving La Paz so much we decided to stay. We sold our California home, applied for our permanent resident visas and made La Paz our full-time home. Since we’ve been here, we’ve gone snorkeling with whale sharks and sea lions, kayaking and paddleboarding on the bay, watched the Baja 1000 off-road race, visited some of the most stunning beaches in all of Mexico, and enjoyed countless gorgeous sunrises, sunsets and moon rises from our rooftop patio. Moving to Baja was the best decision we ever made. So, when are you going to join us? Thank you Robin and Miriam! 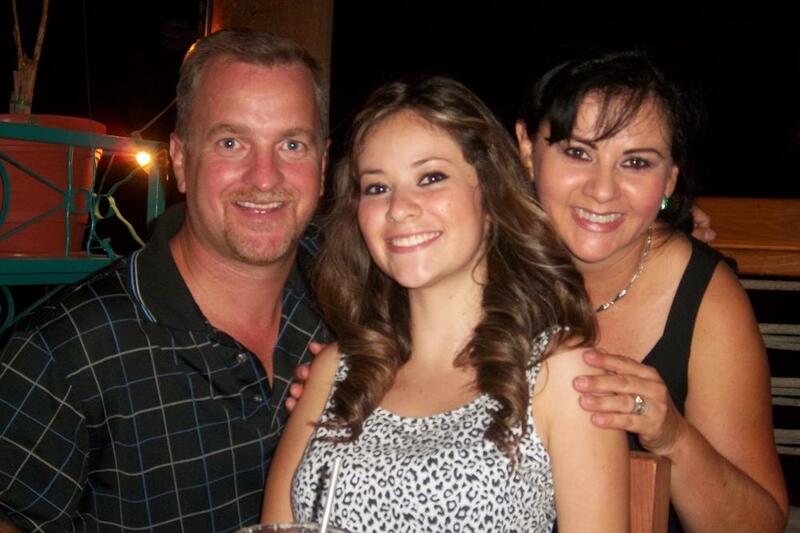 You have just added our family to your long list of happy customers! 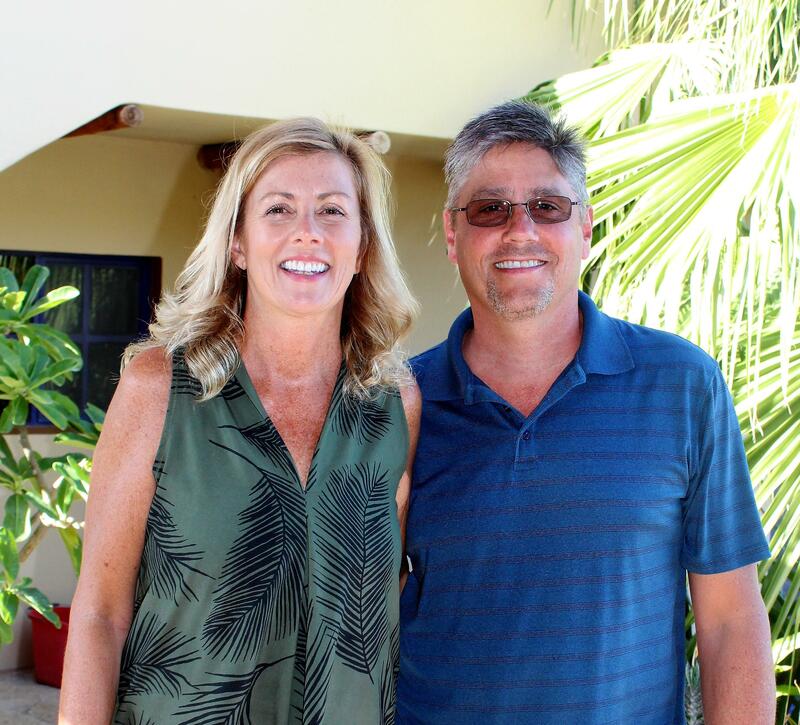 My wife, Cherith, and I have recently purchased a property in the beautiful community of Haciendas Palo Verde in El Centenario. This was our reward after years of searching various locations throughout Mexico to find our retirement home in the sun. During our search, we had the opportunity to meet with other realtors. We can honestly say that, without exception, none of them even came close to showing us the level of service we have received from Robin and Miriam. We started our communications with Robin over email after following Robin’s website for several years. We told Robin when we would be visiting La Paz and the time frame we had available. After our arrival in La Paz, Robin and Miriam developed a schedule that worked best for us, then spent the next few days showing us the different neighbourhoods and getting to know our needs and budget limitations. They used this information to show us the properties that best met our expectations and our budget. When we started this adventure we began with some assumptions, a little bit of knowledge and a considerable amount of apprehension. Along the way we had heard stories about things that could go wrong when buying or building in Mexico. Robin and Miriam put our doubts to rest with their intimate knowledge of the real estate business in Mexico and, in particular, the real estate market around La Paz. They also shared their knowledge and experience with respect to the notion of building a home in Mexico. This turned out to be critically important because this is the path we chose. We found the perfect property, our offer was accepted, and then Robin and Miriam walked us through the whole process. They arranged the notary and explained in detail the steps/timelines of the process. Now, with their help, we are moving forward with a builder who will turn our dream into a project and the project into a home. Through every step in this process we have found Robin and Miriam to be honest, straightforward and caring individuals. 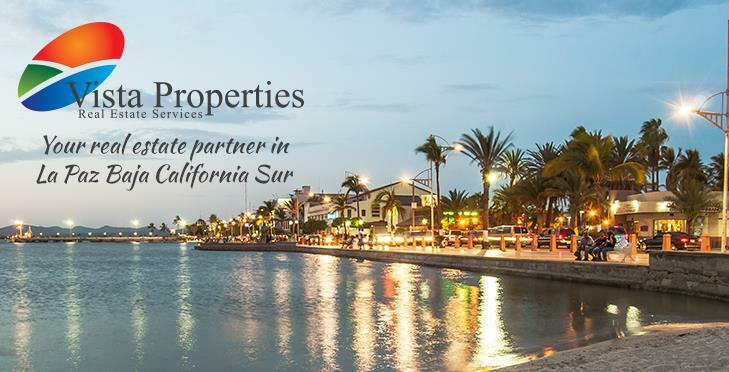 We wouldn’t hesitate to recommend the Vista Properties team to anyone seeking a home or any property in the La Paz area. 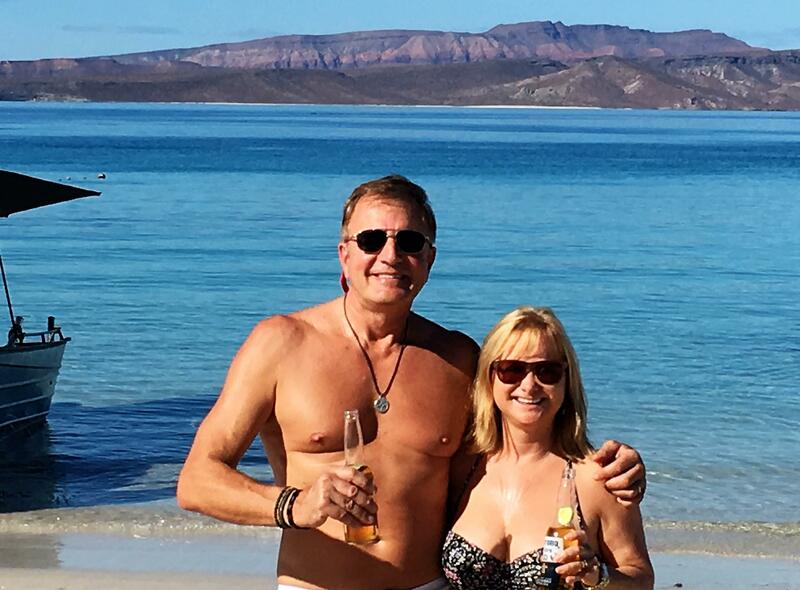 My wife Diane and I had come to Mexico to kick back for a bit and then try to find a home to retire to. We gave ourselves a whole 18 days to do that! We started out in Cancun, but decided that was too touristy and to expensive. We then went to the upper Yucatan to look at the Merida and Progresso areas. We did find a nice house on the beach in a fishing village west of Progresso, but we had one more stop to make and wouldn’t make any final decision until we had seen La Paz. We fell in love with La Paz while still on the plane circling for a landing! The beautiful bay with its placid turquoise waters and the stark gray/brown mountains provided the scene for the most breathtaking sunrises and sunsets Diane and I have ever witnessed! We had to find a place for us in this paradise. We stayed at a very nice condo on the beach in El Centenario. Our second morning there we met with Robin Hodgson from Vista Properties. Robin and I had been conversing via emails for quite awhile but this was our first face to face meeting. We explained what we were looking for in a home and what we had budgeted. Basically, we were looking for a freestanding home with at least two bedrooms and two baths. We were looking for a more traditional style home, but one with the bells and whistles of modern day living. We were looking for a home with a pool, but most importantly a home with a great view. We had a budget of $300,000. We would consider building, but because we couldn’t stay in Mexico to watch the construction, we were hoping to find an existing home to our liking. Also, we had less than a week to complete our task! Robin listened intensely to our list of wants and needs and was very excited about the prospects he had in mind to fill our wish list. He did feel that there wasn’t much available right in La Paz in our price range, but in there were a lot of possibilities in the surrounding areas of El Centenario and El Comitan. He showed us existing homes for sale, model homes, houses under various phases of construction and many available lots. We met with actual builders, architects, and workers to ease our anxiety about building. He answered a wide variety of questions about living in La Paz on a day to day basis. Between Robin and his wife, Miriam, nothing Diane and I could come up with seemed to stump them! During our travels we visited a new development called Haciendas Palo Verde and found our dream home. It was an existing “model” home on Lot 25. Casa Loreto D was the name of that style home. We met the builder, Steve Byers and his architect who graciously answered all our questions and concerns. We’ve had many questions for Steve since our home closed and he always is so helpful and prompt with his answers. Steve builds a great house and his customer service is tremendous! This house has everything we wanted and more. And the view, in our opinion, is to die for! Robin handled all the negotiations with Steve and in the end we had our dream home at a great price! The fideicomiso and other necessary closing paperwork were handled through a wonderful lawyer named Jose Gaytan. Jose speaks fluent English which really helped with explaining the complexities of home ownership in Mexico. I have had other questions for him since the actual closing and he always responds quickly with great insight. Robin acted as our proxy at the actual closing since we had to return to the US. He and Miriam even took pictures of the proceedings and sent them to us. The bottom line here is that we found our dream home at a price we could afford with the help and hard work of Robin at Vista Properties. We would highly recommend him to anyone looking for their “Paradise Found”. Diane and I came into his office as customers and left, hoping to return soon, as friends! There is a saying here in La Paz, “Visit just once, and a part of your soul stays behind to call you back forever.” We arrived in Mexico looking for a place to call home. We were dazzled by the possibilities, spoiled for choice. We explored colonial cities and mainland beaches, small farming communities and artsy pueblos. Everywhere, we were enthralled by the diversity of the Mexican landscape, humbled by the generosity of the people, and really challenged to find the home of our hearts. All these things were tempting but it was La Paz that kept calling us back. La Paz is not a resort town. There is no one standing on the street in front of restaurants and stores pressuring you to come in. It has no inducements to attract a flood of time-share tourists. Is it exciting? Not really. Is it boring? Never. It’s a place to actually enjoy the quiet flow of the day-to-day. No drama, just a comfortable, interesting and diverse way of life. And beauty? Here, cactus forests march down to beaches where you can stroll for hours without seeing another soul. There are endless places to explore and discover. The food is wonderful, fresh, and created in styles and fusions from all over Mexico and the world. La Paz, the capital city of the state of Baja California Sur, is a government and university town. The standards of education and the quality of life are high but the cost of living is low (much lower than the US and Canada). Why not come and experience the peace and all La Paz has to offer for yourselves! We found our home here, and we’d love to share it with you. Cheers! I wanted to take a moment to express again what a great job you did in sheparding us through our home buying process in La Paz. From our initial contact, Vista Properties was exceptionally responsive and provided us with clear, accurate feedback on each of our choices. I couldn’t have been more appreciative of the personalized attention you paid to us. From picking us up at the airport, touring a variety of houses over the course of visit, and a couple of meals where we really got to know you as people, the whole experience exceeded our expectations. And the icing on the cake is that all your efforts and insights led us to select the house of our dreams! When we think back on all the choices we had and the choice we ultimately made, we consider ourselves very fortunate to have worked with Vista Properties. Simply said, we couldn’t have done it without you. Thank you for guiding us home.